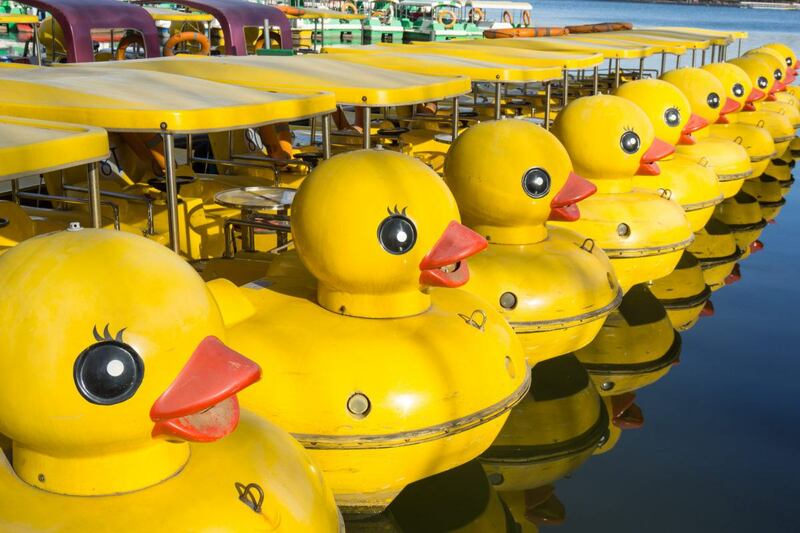 Get your ducks in a row. Now, if possible. When that “oh no/oh wow” moment comes, things that were minor inconveniences spiral into serious annoyances and then evolve into major road blocks. I had a meeting last week with leaders of a nonprofit undergoing significant change. The revenue mix they’ve been relying on is no longer reliable and they’re figuring out how to develop some different sources of income. Actually, I should say, I met last week with another nonprofit undergoing significant change. This has certainly been the theme for the last year (at least). Whether the change is a major funding shift, an executive director retirement, national or state policy upheaval, a merger, or program reinvention, change is everywhere. In fact, I’ll make a prediction: every nonprofit will have (or already has had) a major change or organizational transition at least once in the six years between 2016 and 2022. Every single nonprofit. If that’s the case, how should you prepare? There’s big picture, strategic preparation needed: confirm or reimagine the strategic direction; learn about and engage with the community and your constituents; assess the financial stability and plan scenarios; and develop leadership at every level. But there’s something else we all need to do, especially if you’re not currently in the throes of big changes: get your ducks in a row now. Whether it’s government funding shifts, a big new grant, or you’re about to go through leadership transition, these transitional periods become slower and more complicated when all the gears haven’t been properly greased. When that “oh no/oh wow” moment comes, things that were minor inconveniences spiral into serious annoyances and then evolve into major road blocks. I’m sure you can list five things right now you’ve been meaning to do when things are less busy. Clean up or invest in a new donor and contact management database. Get that accounting software updated (or, uh-oh, that software isn’t supported anymore, so replace it). Replace the HR policy that someone copied from their previous nonprofit. Review the bylaws and board committee structure and replace them with the structure that you need for the future. Go through all those insurance policies. Spend some time creating a solid cash flow template. Whatever those “don’t NEED it done now” items are you’ve been wanting to do for a while, do them now. Make time for those things while the waters are relatively calm because you certainly won’t have capacity to do them when the wind picks up – at least not at the expense of other priorities. These operational tasks range in size of time commitment and number of collaborators, but taken altogether, all of them will make it easier to educate new funders, on-board new staff and board members, and give you a solid foundation when changes speed everything up and the stakes get higher. The organization I met with last week is planning for a new fundraising approach. And they’re starting with some lists in Excel and a database built in Microsoft Access (by a staff member who left five years ago). There’s another organization I’ve been talking with whose new executive director realizes they need significant changes in staff structure and roles, and they need those changes now. She really wishes that the old job descriptions and HR policy reflected reality (and current legal requirements). In both these cases, the needs are urgent and the tasks feel both overwhelming and critical. In an age of accelerated change in so many arenas – technology, economic, political – not only will change come, but it will likely come faster and spread its impact further. Make a list of all those rainy day tasks now and get to work. You’ll thank yourself later. Kate believes that every nonprofit financial question relates to strategy, structure and mission impact. She enjoys interpreting financial information to find stories numbers can tell. She loves writing, teaching, and talking with interesting people.